Isn't it great when you just stumble upon a fabulous product that you weren't even looking for? Well, that is exactly what append here! Just the other day, I was shopping at Michael's for a totally different DIY project and I happened to come across the most yummy yarn ever! Yes, I described yarn as yummy. This yarn is so soft, bright, and fluffy! To quote Despicable Me, "It's so fluffy I'm gonna die!!" The cherry on top had to be that they were also on sale from $6.99 to $3.99 AND I had a 25% off my entire purchase coupon! Can you say bargain?! I had been wanting to crate a fluffy arm knit blanket, but didn't want to shell out the big buck for the Merino yarn, that stuff can get expensive! So, when I found these beauties at Michael's I knew I had found an amazing alternative! 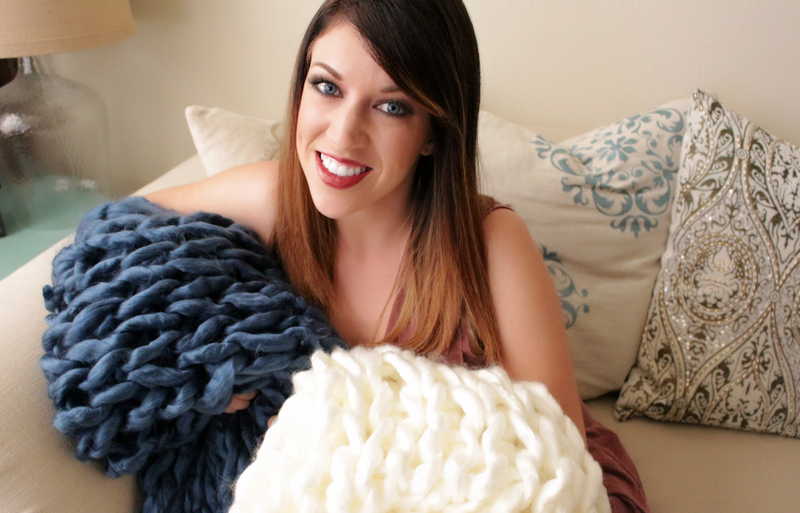 Check out the video below and come arm knit some fluffy arm knit blankets with me! 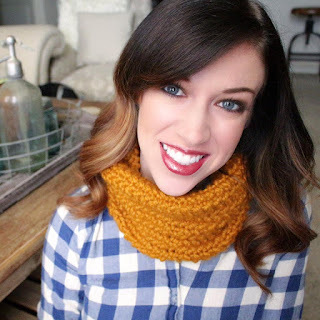 They make fabulous Christmas gifts! Wine & Glitter Gummy Bears!